Home » Posts Tagged "nina sallinen"
Marchin’ on as Women’s Month celebrating female success and strength in our hearts, minds, and accomplishments drew to a close, we welcomed Spring’s arrival with optimism, joy, and hope. The US Winter this year was a ‘puzzlement’, to say the least. Conversations with family and friends around the country and the world were awkward, at best. While here in our City of Angels we basked in Summer-type swelter [80º to 90º+F/27º to 32º+C], the Midwest and East were having trouble getting above 0ºF, to say nothing of above freezing [32ºF/0ºC ] or seeing over the 100+ inches of fallen snow that will not melt at those temperatures. While here in our City of Angels we basked in Summer-type swelter [80º to 90º+F/27º to 32º+C], the Midwest and East were having trouble getting above 0ºF. 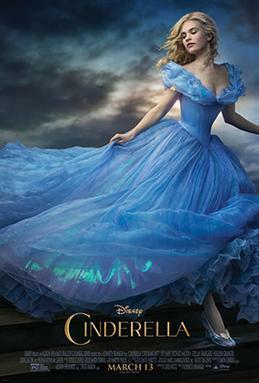 The movie Cinderella [Tuhkimo]] ‘grossed’ over $80 M in its premier weekend. It continued to be the preeminent worldwide box office hit for several weeks. The Rogers and Hammerstein based stage musical is currently playing at the LA Music Center’s Ahmanson Theater. Even shoe designers such as Ferragamo and Jimmy Choo seem to have “glass slipper” inspired fantasy footwear this season. The universal appeal of this story was first captured by Disney in the 1950s animated version we grew up loving. 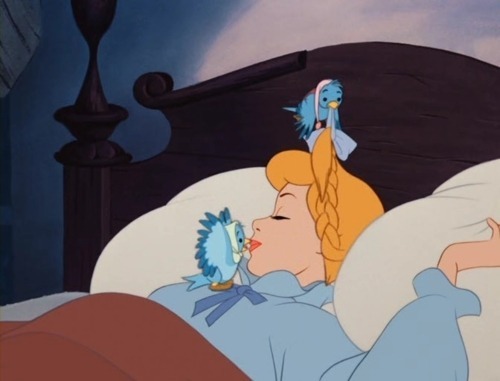 Cinderella is the ultimate “make-over” story: the heroine with gumption (a mild form of Sisu) faces adversity and female jealously with a happy ending involving a handsome Prince. It is a satisfying parable for a Finn. The universal appeal of this story was first captured by Disney in the 1950s animated version we grew up loving. View from Terranea Resort in Palos Verdes. As your humble correspondent/observer of the LA “arki“ scene [everyday activities/events] for some 5 years now, I continue to do my usual and go where I have always gone, but I do find myself looking at things differently. While I still put one foot in front of the other on my way from one unusual place to another, I have a different perspective from behind the wheel or the camera lens. Since my perceived assignment is to share with you, dear reader, an inside look with a Finnish Point of View at the “day to day” life of an involved, long-term activist who is reasonably well-connected here in our fair little town, it seems my own world looks different. For example, as I was driving off of Palos Verdes after a delightful lunch and some other business at the Terranea Resort the other day, I reflected on the beautiful day, the interesting conversation, the magnificent view of the Pacific and Catalina Island from our outdoor table, and the exquisite Lobster Roll I ate. I found myself regretting not having taken a picture of one of the Terranea golf carts with 4 rows of seats behind the driver who whisked us from one resort site to the next as the day’s business unfolded—how many readers have ridden in a pristine ‘stretch golf cart’ like an open-air limousine? How “…so LA”! as I was driving off of Palos Verdes after a delightful lunch and some other business at the Terranea Resort the other day, I reflected on the beautiful day, the interesting conversation, the magnificent view of the Pacific and Catalina Island from our outdoor table, and the exquisite Lobster Roll I ate. If you live in the Los Angeles area, there are certain places you really should visit. The Ronald Reagan Presidential Library in Simi Valley was a “must see” I had not bothered to explore even though I had driven past the modest entrance scores of times. The Ronald Reagan Presidential Library in Simi Valley was a “must see” I had not bothered to explore even though I had driven past the modest entrance scores of times. There was no valid excuse for not stopping to experience the real artifacts and to re-view newsreels of the history I had lived through in my lifetime and had seen on my family TV screen. I could rationalize not making a special trip to see the visage of President Reagan made of 10,000 of his favorite jelly beans and I could even comfortably miss “The Ultimate Car Exhibit” featuring the Batmobile and other ‘star’ cars of Hollywood movies that was a secondary attraction. There is soooo much more. I could rationalize not making a special trip to see the visage of President Reagan made of 10,000 of his favorite jelly beans and I could even comfortably miss “The Ultimate Car Exhibit” featuring the Batmobile and other ‘star’ cars of Hollywood movies that was a secondary attraction. What a great return I got from a small investment of time! At the Reagan Library on a glorious, often windy California mountaintop with ‘never ending’ vistas, the world in all its complexity comes alive from a grand era in American history: the glamorous lives of the Reagans in California and Washington, the earth shaking political times of the Cold War, the Berlin Wall coming down (with real ‘chunks’ you can touch or be ‘selfied’ beside), experiencing the Hinckley Presidential assassination attempt almost as an on-the-street eyewitness, and countless other exhibits that put you ‘in the moment’ and ‘in the place’ of the history our children study in school. It all becomes an existential experience. Dress gowns, White House menus, and tables with china, silver, and stemware set the scene world leaders experienced at State Dinners during their visits to the US. Dress gowns, White House menus, and tables with china, silver, and stemware set the scene world leaders experienced at State Dinners during their visits to the US. You can walk through a scale replica of the Oval office […a lot cozier than you might expect]. From there, down a long hallway, you arrive at a mind blowing exhibition: the actual Boeing 707 that was President Reagan’s Air Force One. The airplane was mounted in place and, then, the pavilion was built around it! Marine One [the Presidential helicopter] sits just off of the starboard nose of Air Force One. The fleet is at the ready. The plane faces a multi-story glass semi-circle wall, but seems as if it could take off over the canyons at a moment’s notice! It feels so real because it is real!! The airplane was mounted in place and, then, the pavilion was built around it! Marine One [the Presidential helicopter] sits just off of the starboard nose of Air Force One. Did I mention that you can walk through both aircraft as if you were a member of the Secret Service? Or, pretend President—if you prefer!!! A remarkable woman, Nancy Reagan was responsible for so much of the success of the Reagan Presidency –as are so many First Ladies. I had the honor of meeting her personally. I was privileged to serve on a Board with her many years ago. She was a great inspiration with a real sense of style. I had the honor of meeting her personally. I was privileged to serve on a Board with her many years ago. Presidential politics (observation, analysis, pontification about it) has become a national sport. Politics aside, the Ronald Reagan Presidential Library is a must see. It is an experience for young and old, history buff or cultural newbie, jaded local or star-struck tourist to LA or the USA. Politics aside, the Ronald Reagan Presidential Library is a must see. It is an experience for young and old, history buff or cultural newbie, jaded local or star-struck tourist to LA or the USA. Former Finnish President Tarja Halonen was honored for Advancing Women in Politics. President Halonen is pictured on the Finnish Embassy website in a photo with Cindy McCain, wife of Arizona Republican Senator and former US Presidential Candidate John McCain. As March celebrates women of accomplishment, there are still worldwide issues of abuse even in everyday situations. Driving to Costco on Venice Boulevard I became an ‘Eye Witness’ to news as I made a left hand turn just past Venice High School. No need to ‘phone it in’, the police cars and news vans with cameras were already on scene at 10:00 AM on Friday the 13th. The news stations reported that 14 juvenile males had been arrested for harassing behavior toward two young female students. Little in detail is given in the media when minors are involved. It is alarming to hear that every 107 seconds someone is sexually abused in the US. Last year, I reported about the local taxpayer funded Public Metro Transit promoting a Valentine’s Day ‘hook up’ facilitation for singles. It happened again this year. The hebahabas were on duty again. Is it a surprise to anyone that the ‘warm and fuzzy’ promotion led to sexual harassment lawsuits from Metro riders? Guess who pays for that ticket? Is it a surprise to anyone that the ‘warm and fuzzy’ promotion led to sexual harassment lawsuits from Metro riders? Guess who pays for that ticket? The last I heard, the Metro is now sponsoring a “harassment awareness” program for riders! Go figure. Instead of government promoted hook-ups in the subway, here is something wonderful: how about Bach on the rails? This beautiful world-wide event celebrated Bach’s 330th birthday across 129 cities in 39 countries. Our fair City of Angels featured a 10 hour Bach marathon with Union Station appearances by, among others, LA Opera Violinist James Start. There was an event at the Glendale Metro Link Station, as well as, a flute choir at the LA Zoo and a youth program at Santa Monica Place. All of these celebrations were done for the pure joy of sharing classical music with no one asking anything in return—not even a donation. Celebrating J.S. Bach’s 330th birthday at Los Angeles’ Union Station. What a lovely, joyous event on the First Day of Spring! March 20th was declared the International Day of Happiness. Pharell Williams (known for his “Happy” song) spoke at the United Nations. He may not be as happy these days, personally, since he lost a $7 million lawsuit concerning “Blurred Lines”, his endeavor with Robin Thicke. They were accused by Marvin Gaye’s family of taking material from the deceased artist’s “Got to Give It Up” for their 2013 mega-hit. March 20th was declared the International Day of Happiness. All this happiness, a lunar eclipse, incredible northern lights displays, a ‘super moon’, and the first day of Spring. I was going to share my Aurora Borealis Parfait this month, but I decided to wait because I was inspired otherwise by the annual St. Urho’s Day meeting of the LAFF. The tradition of the celebration of name days goes back to the Christian calendar noting Saint’s days. Each day of the year is assigned a name or names. The new Almanac for 2015 has been published featuring some new names. As it turns out, on February 28th the name Sisu was added. That date is also Kalevala Day and Finland’s National Flag Day honoring Finnish culture! How appropriate that February 28th was the day an exciting happening was taking place in LA: The Sisu Project! The event was held at the Chekhov Studio International in Glendale. Activities of the evening orchestrated by Park Cofield included a story circle and a facilitated discussion about the creative process. Park is a participant in the Global Connections–On the Road Program, funded by the Andrew W. Mellon Foundation and administered by Theater Communications Group, the national organization for the Professional Not-for-Profit American Theater. The event is part of the Year of Sisu—2015, a global initiative spearheaded by “sisu” researcher Emilia Lahti and Sisu LAB. It was great to see Nina Sallinen, Marjo-Riika Mäkinen, Susanna Goltch, and many other familiar faces participating. Finlandia Foundation National is part of the support for research and development by way of providing a grant. The Sisu Project! The event was held at the Chekhov Studio International in Glendale. Activities of the evening orchestrated by Park Cofield included a story circle and a facilitated discussion about the creative process. The hope is that all local Finns will familiarize themselves with the project and enjoy the experience of participating in an event. Pastor Jarmo Tarkki gave a Lenten Sermon that moved the congregation with a great message: “…what you don’t say can be as important as what you do say”. A good lesson for us all. Pastor Tarkki was excited to tell about baptizing the great-great-granddaughter of Jean Sibelius in a recent ceremony in one of his Congregations. Ruusumarja Teppo, Sibelius’ great-granddaughter will be part of a joint San Diego/Los Angeles Finnish Congregation event in September. Pastor Tarkki was excited to tell about baptizing the great-great-granddaughter of Jean Sibelius in a recent ceremony in one of his Congregations. The Hauli Huvila Annual Fundraiser was held at the Burbank Spa on March 21. The FACC is gearing up to move forward in a big way –back to its golden future under the leadership of new President Michael Berlin. Former Presidents of FACC (me& Heidi Crooks), new Pres. Michael Berlin, Philip Johnson, President of Finlandia University. Dr. Michael Berlin is a renowned Beverly Hills ophthalmologist, researcher, UCLA professor, businessman, inventor, and a loyal, active member and supporter of the FACC for decades. FACC is the Finnish “American” Chamber of Commerce and, therefore, under Michael’s leadership it will thrive especially with Michael’s underlying American love of all things and people Finnish. How many people do you know who have become fluent in the Finnish language as an adult? I rest my case! A woman to celebrate in our Finnish American community here is Liisa Linnala who is the newly elected President of Suomi Kerho. The multi-talented Liisa has been a unifying member of the Finnish community and all things Suomi Kerho. Many will know her through her leadership in (among other things) putting together the club’s excellent newsletter. The Los Angeles Finlandia Foundation always has its St. Urho Day themed March meeting. The ‘holiday’ is actually a Finnish-American tradition originating in Minnesota. This ‘made up’, goofy frivolity is named for St. Urho who “…drove the grasshoppers from Finland” or some such folly. Members dress in purple and green. Realtor Janice Hiltunen (who also has a home in Minneapolis), was decked out in festive purple outfit and hat. By local tradition, a tub of grapes is passed and each member gets to guess the number of grapes in the container. The winner gets to keep the grapes! I did not win, but I did think of pie on my way home. Realtor Janice Hiltunen (who also has a home in Minneapolis), was decked out in festive purple outfit and hat. Earlier this month, America celebrated Pie Day which (this year) was also Pi Day (as in the mathematical 3.14). Since this year was 3.14.15 it was bigger than ever. With all this happening, I just had to feature my decades old standby pie dessert: Grasshopper Pie. RELAX! It is not made with ground up grasshoppers! RELAX! It is not made with ground up grasshoppers! It is named for the old cocktail from the ‘50s –the Grasshopper that was named for its color. The Grasshopper pie is perfect for your Finnish American St. Urho’s celebration or any Spring festivity you care to invent. For your Easter dessert, simply decorate with Easter candies or edible flowers. On March 22, after the St. Uhro grapes had been passed, the LAFF meeting featured Tiina Purtonen and Kimmo Heinström sharing their grand adventure of over 20,000 miles in a 14 month expedition over 37 US states and 4 Canadian provinces. It has been fun keeping up with Tiina and Kimmo’s travels, but it is especially nice to have this darling couple back with us in LA. The new LA Marathon route continues to attract a first rate field and massive participation. Despite Summer-like weather forcing an earlier start, the new LA Marathon route continues to attract a first rate field and massive participation. No Finns were in the top finishing positions. 1 ½ C chocolate cookie crumbs (the thin wafers or chocolate sandwich type mashed up). Save a few tablespoons for decorating the top of pie, if you like. ***They didn’t have marshmallows in Finland when I started making this. I remember looking up the word in the dictionary and it said “samettihaapio”. The translation now is “vaahtokaramelli”. Chocolate curls, after dinner mints (the kind in the green wrapper—crumbled) candies, fresh mint, edible flowers, drizzle of chocolate sauce, or whatever suits your theme or eye! Heat milk and marshmallows together in a saucepan over a low flame, stirring continuously until the marshmallows are melted. Let cool. Make crust by combining cookie crumbs and melted butter. Press ‘result’ into bottom and up the sides of a 9 inch pie tin. Whip the cream; add the liqueurs and food coloring. Fold in marshmallow/milk mixture. Put into crust and chill. Note: Rather than one big pie, I often make small individual pies (dessert tarts) out of the same ingredients. Adding the garnishes, drizzles of sauce, eyedroppers of the crème de menthe to the plate makes for a fun dinner party presentation. Have courage and be kind! !